SpringCard‘s technical team is proud to announce the launch of a new generation of contactless readers for high-end access control applications, the FunkyGate NFC family. 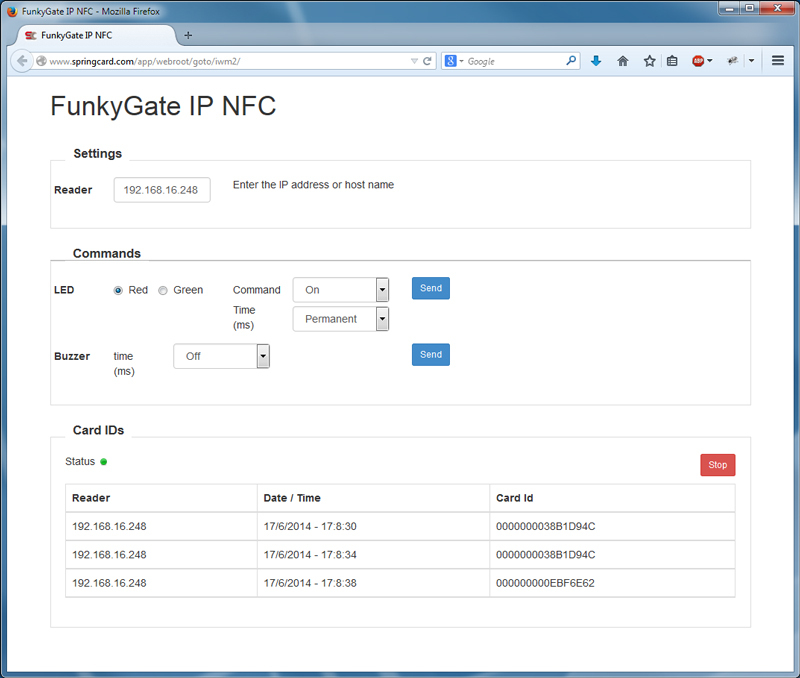 Using the same shell as previous generation’s FunkyGate-DW (Dataclock, Wiegand and RS485 interfaces) and FunkyGate-SU (RS232 and USB interfaces), the FunkyGate NFC family introduces a brand-new member, the FunkyGate-IP NFC. 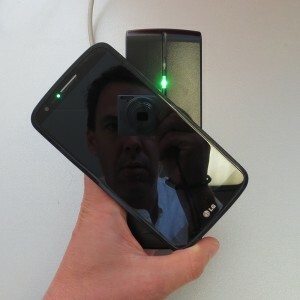 As the name suggests, the FunkyGate-IP NFC brings the power of TCP/IP up to the door or gate. A standard RJ45 plug connects the reader to any Ethernet LAN (10 or 100 Mbps). More than that, the FunkyGate-IP+POE NFC reader is powered directly by the network (Power Over Ethernet), thus removing the need for the classical 12V power cable. The FunkyGate-IP+POE eases the job of wiring the building before installing the access control system. With only a single Cat5e right to the door, the reader is operational as soon as it is plugged to the network. The FunkyGate-IP NFC and FunkyGate-IP+POE NFC readers take full benefit of SpringCard‘s know-how in all the various 13.56MHz protocols, and pave the way for a easier and wider use of NFC mobile phones in access control and identification applications. 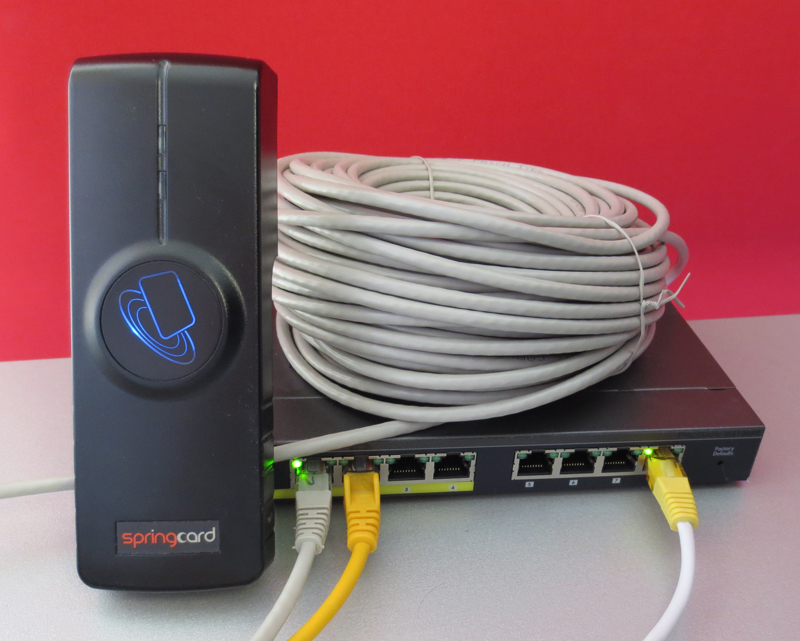 SpringCard MultiConf is a new, versatile, configuration application for all SpringCard products. 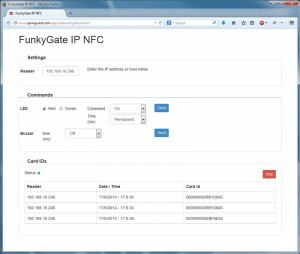 Define the FunkyGate-IP NFC’s configuration, write this configuration into a Master Card, apply this Card to all the readers you want to configure, and voila! Thanks to the 4 card processing templates -a concept shared with the Prox’N’Roll RFID Scanner and among all SpringCard standalone readers-, the FunkyGate-IP NFC is able to fetch virtually any data from current contactless cards and RFID tags. Get data from a card-emulation application, possibly running on an Android system thanks to the HCE (Host Card Emulation) feature. Thanks to Android’s 4.4 HCE mode, the FunkyGate-IP is able to get an identifier or perform a transaction over the NFC smartphone, even in screen-off mode. When it comes to communication with the access control system (embedded control unit or computer running an access control server application), FunkyGate-IP NFC provides an efficient, low-overhead, fully secured communication protocol using TCP sockets and AES cipher for authentication, integrity and confidentiality. An SDK will be released soon, together with a demo of an access control server application running on a small Linux system, typically a Raspberry Pi. The reader also embeds a tiny HTTP server that makes it possible to develop a client application in no-time using high-level languages. A simple REST API exposes the reader’s behaviour (basically controlling the LEDs and buzzer) and the card/tag numbers to the outer world. First batches of FunkyGate-IP NFC (and FunkyGate-IP+POE NFC) are already shipping to our early-adopters. Don’t hesitate to contact us for a demo or to evaluate the product. New documents and the SDK will be published on our web site in the oncoming weeks. In a second step, the E663, which is the core the FunkyGate-IP NFC is built on, will be offered to developers and integrators as a versatile Ethernet-based RFID/NFC OEM module. Stay tuned ! 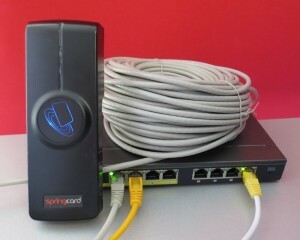 The FunkyGate-IP is built upon the new SpringCard E663 core. Supporting Ethernet and TCP/IP, this OEM RFID/NFC module could be the basis of new generation solutions that closes the gap between contactless smartcard technologies and today’s cloud architectures.